With a commitment to innovation and providing industry-leading automation solutions for our customers, we are constantly evaluating and testing the latest technologies. 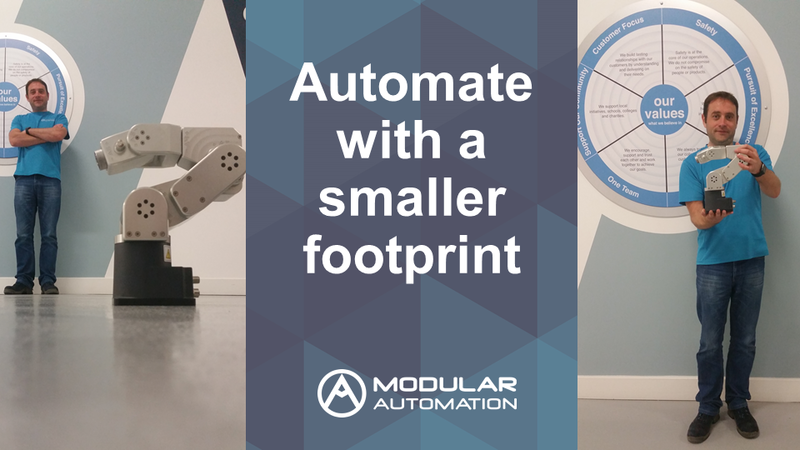 This week in Modular we are excited to begin assessing the capabilities of the Meca500 industrial robot in our Technology Centre. This ultra-compact six-axis robot arm can fit into the palm of your hand and is more than twice as small as other small industrial robots. Described by our engineers as a “new level of automation”, it is equipped with zero-backlash speed reducers and high-resolution encoders that boast a repeatability of 0.005mm making it perfect for precision-based applications. Additionally, weighing just 4.5 Kg, each of its structural components have been precision machined and assembled from aluminium enhancing its elegant design. Over the next few weeks our engineers will continue to evaluate the Meca500. With countless benefits waiting to be discovered, we will assess how this technology can further benefit our customers for their next automation project.